Signature species of gut bacteria have been identified in lean and obese horses. Researchers have identified different signature species in the gut microbiomes of lean, normal and obese horses which could help in finding microbial solutions to the problems of obesity and metabolic syndrome. Obesity is a serious and increasingly common health problem in horses due to modern management practices and the availability of energy-dense feeds. It has been linked to insulin resistance and the worsening of inflammatory issues such as osteoarthritis and laminitis. While the gut microbiome – the make-up of the microbial gut population – is thought to play a part in the metabolic status in horses, bacterial communities associated with obesity have yet to be described. University of Delaware researchers Amy Biddle, Jean-Francois Tomb and Zirui Fan, writing in the Frontiers of Veterinary Science, have reported on differences in metabolic factors in the blood of obese, normal and lean horses correlated with differences in the make-up of the gut microbiome. The trio reported that obese horses had higher levels of leptin, triglycerides, glucose, and cortisol in their blood, with trends toward higher insulin levels. They also had more diverse gut microbiome communities, with higher relative abundance of Firmicutes, and lower numbers of Bacteroidetes and Actinobacteria. More detailed analysis work of correlations between body condition, blood analytes, and microbial composition revealed a more nuanced picture of microbe-host interactions, they reported. The findings revealed specific bacterial species and assemblages that may be signatures of obesity and leanness in the horse gut. In particular, bacteria groups positively associated with two blood analytes and obesity included Butyrivibrio spp., Prevotellaceae, Blautia spp., two members of Erysipelotrichaceae, and a Lachnospiraceae taxa. 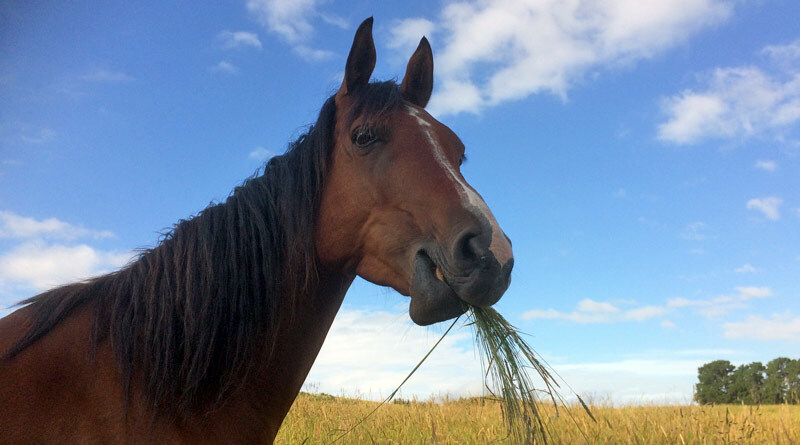 The researchers said that while horses typically ate a relatively low-fat diet, the gut microbiomes of obese horses were found to be enriched in six triglyceride-associated bacterial taxa, while the lean group was not positively correlated with any of these. A range of obesity-related bacteria from human studies were positively associated with obese horses, they found. That the normal and lean horses were either negatively or not correlated with all of these bacteria suggests distinguishing community differences in horses based on body condition scores, and points to similarities in host-microbial dynamics underlying metabolic disease between horses and humans. At the same time, four taxa associated with healthy gut status were also significantly correlated with obesity in horses. “This research points to differences in the gut microbiomes of lean, normal, and obese horses that are significantly correlated to key blood analytes associated with body condition score,” they concluded. The results showed signature species for each body condition category, laying the foundation for experiments leading to a better understanding of the dynamics involved, and more targeted microbial solutions to the issue of obesity and metabolic syndrome in horses, they said.